The Bluetone 100 is a powerful Bluetooth speaker which connects to almost any device for a breathtakingly big sound. 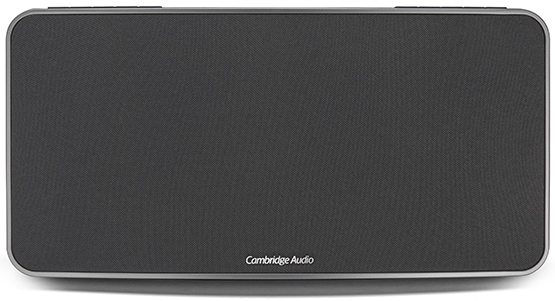 It combines our years of experience in electronics and speaker engineering with the latest Bluetooth streaming technology to deliver stunning, room-filling sound with serious depth and volume. Our products are designed with one aim – to help you enjoy the music you love. The Bluetone 100 is packed full of technology which maximises the audio quality of the music you hear, from advanced Digital Signal Processing (DSP) to squeeze the most out of music files, to revolutionary Balanced Mode Radiator (BMR) drivers for a wide and deep sound. There’s a lot of power in the Bluetone though so we’ve included a bass level control on the back of the speaker so you can get it just right for your preferences. Patented Balanced Mode Radiator (BMR) speaker drivers deliver a wider, more room-filling sound than similarly sized traditional speakers. While regular speakers move in a pistonic motion (in and out) to create sound, the unique BMR drivers we use move both pistonically and horizontally, to disperse sound more widely. Basically BMRs mean there’s no specific sweet spot in your room, your music will just sound great wherever you are. 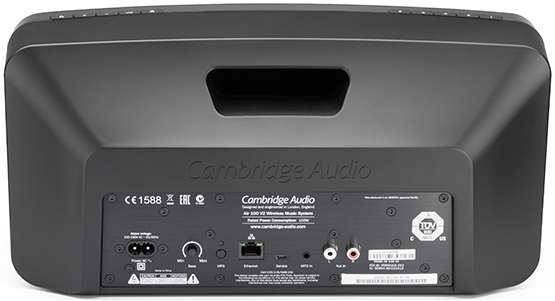 A highly efficient Class D amplifier and two huge 4 inch BMR drivers pump out a huge sound for when you want your music loud. But our sound first design philosophy guarantees that this amplification never comes at the expense of sound quality – you’ll still be able to hear all the drama and detail which gives music such an emotional impact. A highly efficient Class D amplifier and two huge 4 inch BMR drivers pump out a huge sound for when you want your music loud. But our sound first design philosophy guarantees that this amplification never comes at the expense of sound quality – we’ve tested the Bluetone for hours and have conducted countless blind listening tests so we know it’ll amplify your music exactly how it should sound; no colouration, no exaggerated bass, just perfect playback. Bluetooth is in pretty much every smartphone, tablet, laptop and computer out there so you can stream wirelessly from whatever device you want. AptX Bluetooth compatibility means the Bluetone can stream music in high resolution from any aptX Bluetooth device – allowing you to hear every bit of detail. And if you want to play from a device which doesn’t have Bluetooth, RCA and 3.5mm inputs make it compatible with most other products. –So you can enjoy music stored on your device in amazing quality – but you can of course also playback streaming services, upgrade the sound from games consoles, or enjoy the full experience of a film’s soundtrack as well. It brings power and energy to all your audio.